What is your home to you? Is it a fortress of solitude where you can shut out the world’s problems when you close the door? Is it a vibrant hub where never a day goes by without a social gathering where friends and family come together to enjoy delicious home cooked food, good conversation and precious memories? Is it a reflection of your personality, tastes and idiosyncrasies rendered in wood, brick, steel and stone? Is it all of these things? Whatever your home is to you, you likely put a lot of effort into making sure that it’s clean, tidy, and welcoming for all who enter. But the magazines and home decor sites would have you believe that that’s not enough. With the coming of every season it seems that conscientious home makers are deluged with lists of do’s and don’ts and seasonal guides to help you to create the perfect atmosphere for the season while regaling you with the decor trends that simply everybody’s following. While there’s nothing wrong with throwing open the curtains and strategically placing a few vases of daffodils here and there to celebrate the coming of the spring season, few of us have the time, effort and capital free to completely decorate our homes in accordance with the seasonal fads. But you still want your home to look beautiful and draw admiring comments from all who visit. If only there were some way in which you could make sure that your home looks beautiful without ever feeling out of fashion. The good news is that there is… And not only is it easy, it’s surprisingly affordable too. 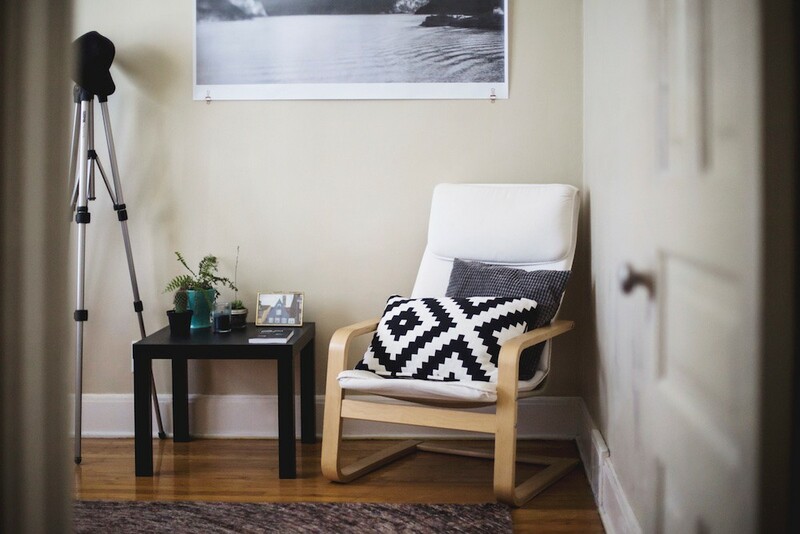 By embracing the principles of minimalism, you can ensure a neat, tidy and beautiful home all year round while liberating you from the caprices of trends and fads. Sometimes fads or trends will allow us to come into contact with something that resonates with us personally but more often than not being a slavish follower of fashion will simply become a yoke around our necks. It will cause us to spend a fortune on paint, wallpaper, accessories and even furniture that we’re not entirely convinced about just for the sake of keeping up with the Joneses. Plus, remember that today’s “really cool” is tomorrow’s ridicule. Those of us who were still around in the ‘70s remember when avocado bathroom suites and sunflower wallpaper were all the rage. Now? Eugh! Unless you can’t be at home without bold design choices, it’s probably a good idea to stick to the neutral colors, clean lines and subtle graphics of a minimalist aesthetic. Many cultures, most notably the Japanese, embrace minimalism as it is a naturally calming aesthetic that releases us from the visual distraction and sense of oppression of clutter and accentuate the few decorative items that we use to inject a sense of personality and idiosyncrasy into the home. Just because you’re bringing some minimalist influences into your home decor doesn’t mean that your home should become a sterile petri dish devoid of charm, personality or any of your own personal idiosyncrasies. The difference is that your tastes are unlikely to change season by season or year by year. You know what colors shapes and textures you love and they’re likely to remain the same be it summer or winter. Find fun and creative ways to work them into your decor whether it’s on your walls or your soft furnishings. It’s well worth thinking long and hard about what defines your personal taste and why as this will help you to find creative ways of giving your home a sense of your personality. Don’t be afraid to let your sentiment shine through. A framed, high quality print of the poster to your favorite movie is a great way of adding a sense of personality to a room without impeding on the aesthetic. Likewise a collage of treasured childhood or family memories is a great way to being a patch of empty wall to life. However you choose to make your space your own, do it in ways that resonate with you personally rather than what you think people want to see. It’s the only way to be comfortable and happy at home all year, every year. There’s a temptation to make huge alterations with the passing of the seasons so that your walls see a new coat of paint every 3 months. But there are plenty of colors, shades, textures and graphic designs that look great all year round. For example, check out the thermal curtains from Deconovo. They represent the brand’s timeless aesthetic while also keeping your home cool in the summer and warm in the winter. When developing an aesthetic it’s also important to listen to the needs of the space you’re working in. Depending on the size, shape, lighting and general mood of a space, some decorative decisions might work better than others. That’s not to say that your beloved vintage furniture can’t work well in a spartan and modern space, it just means that you’ll have to factor in the lines, colors and atmosphere in a space before deciding where to position it. There’s no better way for a home to look instantly dated than to fill it with clutter. While there’s certainly an argument for a low maintenance “lived in” look, there’s no excuse for corners of papers poking out of drawers, coffee tables whose surfaces have not seen the light of day since 1992 and shelves groaning with books you’ll never read or movies you’ll never watch. Moreover, clutter can also have a profoundly negative effect on our psyche. Discard what you no longer need or at the very least keep it in storage somewhere. Natural materials will never go out of fashion and they look great and comforting all year round. Thus, ensure that your every room has plenty of wood stone, cottons and linens. These have a calming and comforting effect without drawing too much attention to themselves.